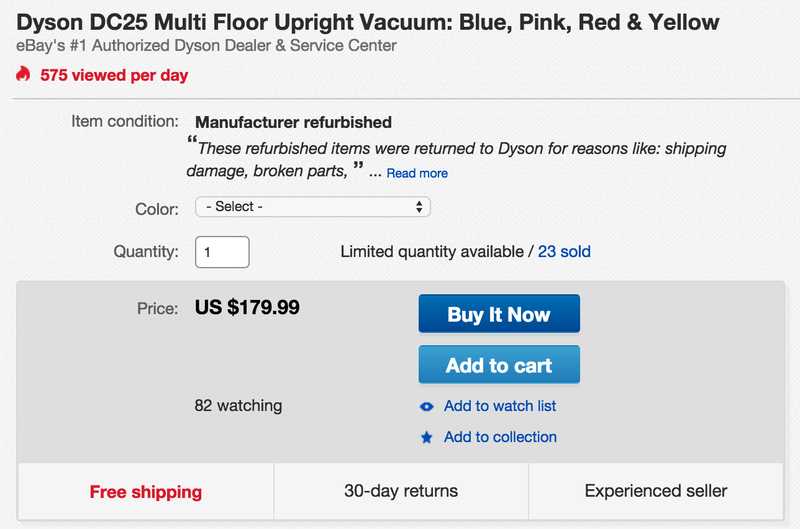 We spotted a few notable deals on manufacturer refurbished Dyson products today courtesy of the company’s official eBay Store. 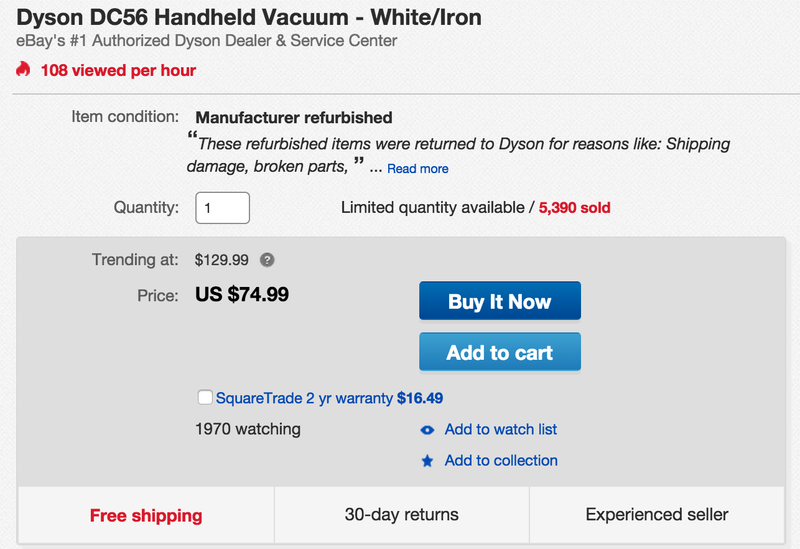 Dyson’s usually expensive home products can be had at massive discounts on its refurbished eBay storefront, not to mention each includes a 1-3 year warranty. 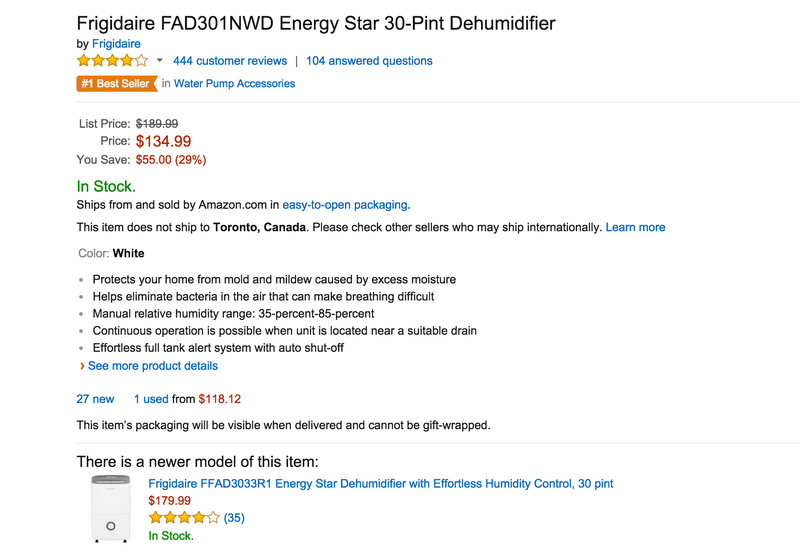 Next up, Amazon has the Frigidaire 30-Pint Dehumidifier (FAD301NWD) for $134.99 shipped. That’s $45 under the original listing, between $15 and $40 under the average selling prices and the best we can find. 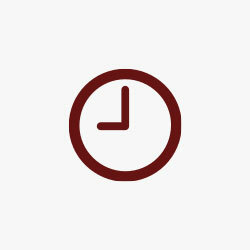 Along with its dehumidifying capabilities, it can reduce “mold and mildew caused by excess moisture,” and “eliminate bacteria in the air that can make breathing difficult”. 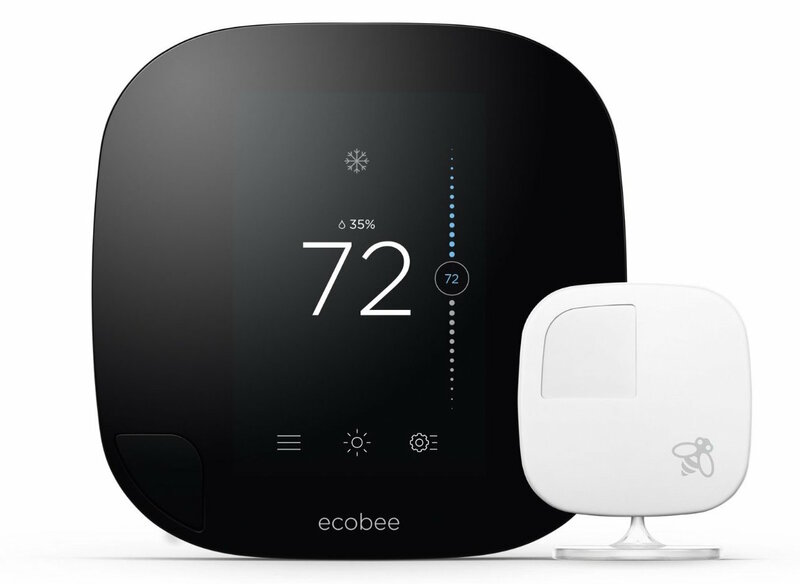 It has manual relative humidity range (35%-85%), auto shut-off, and an Energy star rating. It has a 4.2/5 star rating from nearly 450 Amazon customers. 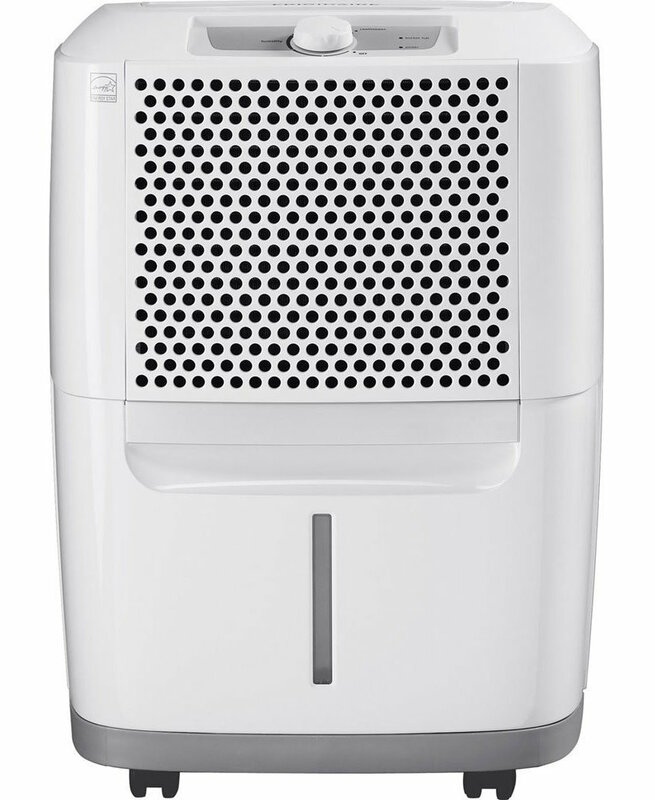 You can see more of Amazon’s best selling dehumidifiers and accessories here.